Over twenty years coaching experience. Professor of fencing from British academy of fencing. Prevost D’armes from Ecole Nationale de Maitre D’armes. Dinard, France. Leader level, Coaching Effectiveness Program. Olympic training center, Colorado Springs, Colorado. Specialist Diploma in Physical Education and Sport from the Uzbek State Institute of Physical Education 1989. Holder of the Soviet Master of Sport Degree. Five time senior national foil champion of Uzbekistan. Appointed junior national coach 1998. British Fencing level 4 coach. If you would like a lesson with a coach there is a sign up sheet at the entrance to the hall, every Thursday. Please put your name down with the coach you would like and the coaches will do their best to fit everyone in on a first come, first serve basis. I fenced as a youngster many years ago but gave it up for 28 years. Started again about four years ago and I wished I had never stopped. 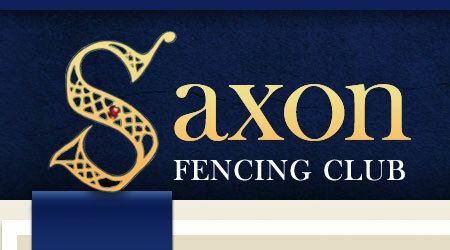 If I had belonged to a club like Saxon I doubt if I would. Still competing and recently qualified as a coach. Foilist and Epeeist. He has been fencing for thirty years and Saxon member for over ten. In 2010 won 3 bronze medals representing England in the vets Commonwealth Games in Australia. Professor of cognitive neuroscience by trade, and father of twins. Joined just over 10 years ago in the the beginners class, and since had regular lessons. Working as a church minister can be quite demanding at times, and I find the fencing a fantastic way to relax. I really like the fact that Saxon welcomes people from across a wide range of ages, abilities and weapons. Started fencing at Saxon 20 years ago on the beginners’ course and after a number of years attempting to beat left-handers at foil, decided to take up the sabre which is now my weapon of choice. Occasional competitor in Open, Veteran & Team competitions, as well as being the club armourer (with the assistance of Alan Colemen on weapon repairs). Two-time medalist at Saxon’s Anniversary Foil Competition, and mother of twins. Combines Foil and Epee, and renowned for her assertive style on piste.